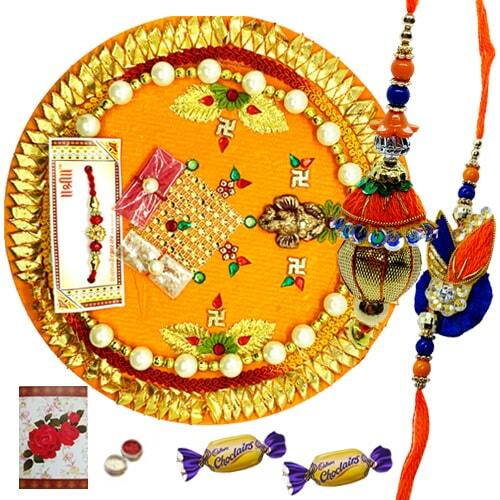 Send your heartfelt wishes to your brother or cousin or any loved one with this Ravishing Thali with Inviolable Bond of Bhaiya Bhabhi Rakhi and 2 Chocolates to make their Raksha Bandhan a memorable one. It comes with a handcrafted Card. The Rakhi design may differ.